Not necessarily something you would expect to find in an article dealing with vehicle care, wear, damage, service and the need for periodic scheduled maintenance. Why? Because believe it or not, it seems like the easiest and best way to make the case for regularly scheduled service. The natural enemy of all things mechanical is thermal damage and heat. If your vehicle is powered by fossil fuels: if it is either diesel powered or powered by an internal combustion engine, it has moving parts and depends upon combustion – an explosion and controlled burn – to generate the energy necessary to power that vehicle down the road. 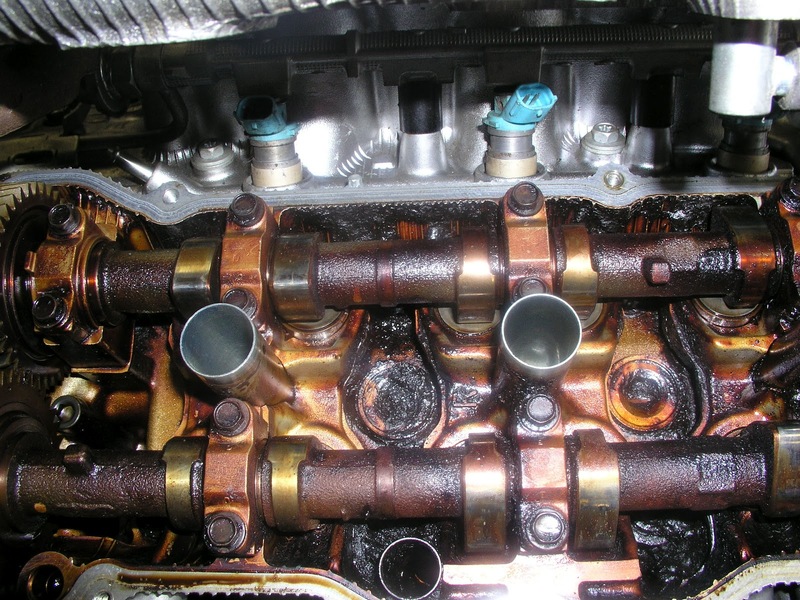 As long as we’re talking about Cooling Systems… Most vehicles today are “Water Cooled:” engine temperatures are controlled (reduced) by circulating liquid through passageways in the engine block and cylinder head. Plain water – even distilled water – is insufficient. Contemporary engine temperatures are far too high, even when operating within normal ranges and the boiling point of water is far too low. To raise boiling points high enough to accommodate contemporary engine designs manufacturers began adding chemicals specifically designed to accomplish that one goal by raising the boiling point of the liquid in the system. Because of the increased use of dissimilar metals in engines and cooling systems today and the functional properties of a liquid rushing through the engine under pressure (cooling system boiling points are raised approximately 3.8 degrees Fahrenheit for every additional pound of pressure) and at relatively high speed demanded the introduction of a palette of chemical compositions and colors reminiscent of a rainbow. Each is different and many are vehicle or manufacturer specific. There are all kinds of different chemical additives used in coolant compositions today, but the most important thing you can do is be sure the ‘right’ coolant finds its way into the right vehicle! 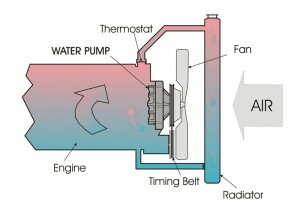 The most important thing for us to recognize is that heat (temperature) and oxygen (air) are the cooling system’s mortal enemies and that over time the quality, composition, integrity and performance of the coolant and the cooling system will degrade (We can talk about electrolysis another time). I guess you can translate this any way you want to, but “Earth” to me is synonymous with “dirt” and dirt and engines – or, anything constantly in motion – don’t go well together. Engines today are clearanced – built to exacting design specifications – to ensure the highest performance, greatest economy and longest service life. That is, of course, if they are ‘properly maintained,’ which is what this series of Counter-Intuitive articles is all about. That’s a long way around the barn to say they are “tight:” built with just enough clearance to accommodate the lubricants that help reduce friction and prevent the engine from burning itself up. 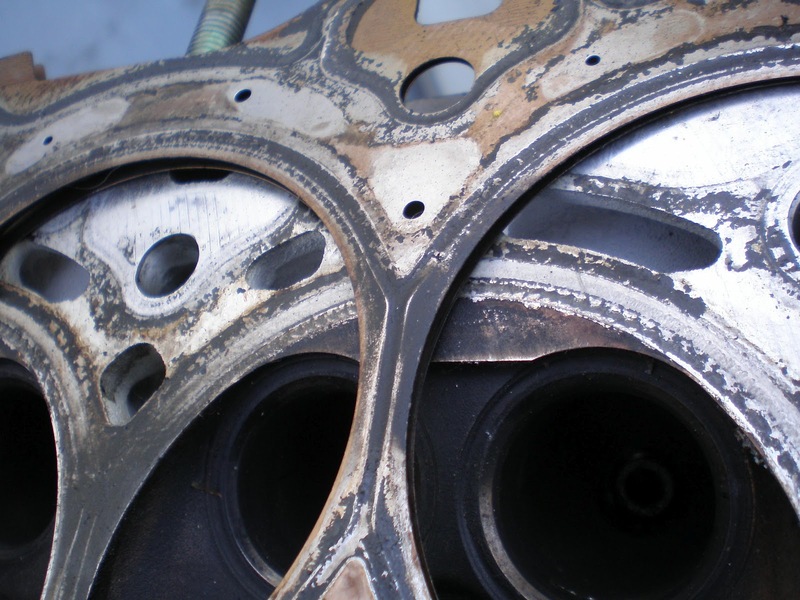 Introduce contaminants into the crankcase and allow them to build up over time and you will find yourself confronted with unnecessary and potentially catastrophic repair bills. Today’s lubricants are highly effective. They have enhanced friction reducing capabilities and film strength enhancing additives to fight the effects of high temperature operation and oxidation. But, they still must be drained and refilled on a regular basis in order to remove contaminants that will inhibit performance, cause premature wear and ultimately cause failure. It’s a simple fix that can and will extend the vehicle’s service life while reducing overall cost of operation. Oxygenation, in conjunction with temperature and all the other chemicals, minerals, liquids and metals in the engine and cooling system, is a real problem – not necessarily in and of itself – but, in the way it interacts with every other element accelerating performance degradation. If you’re not convinced, take any untreated metal and expose it to the elements – air included – and, watch what happens. Introduce temperature and untreated liquids and the recipe for failure and consequential damage and expense increases exponentially. 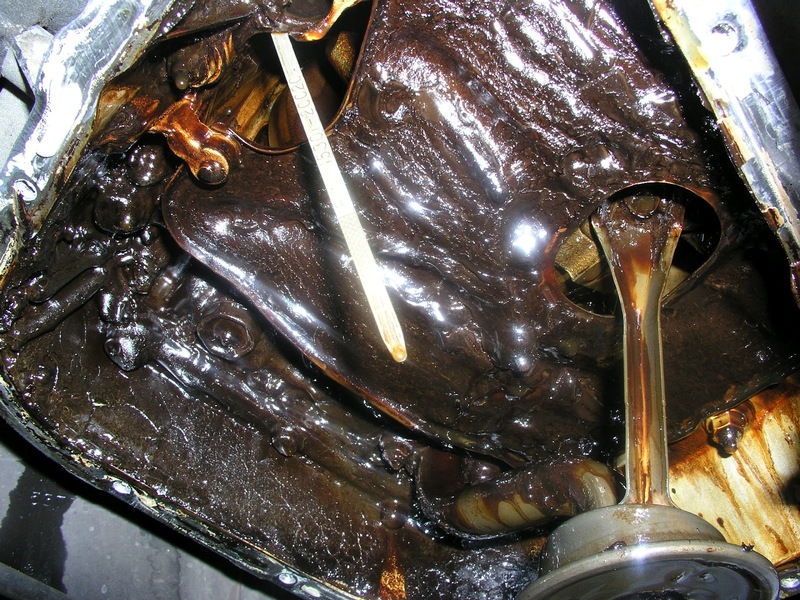 Low oil level in the crankcase – too much air, not enough lubricant – can cause a laundry list of problems all related to lack of lubrication. 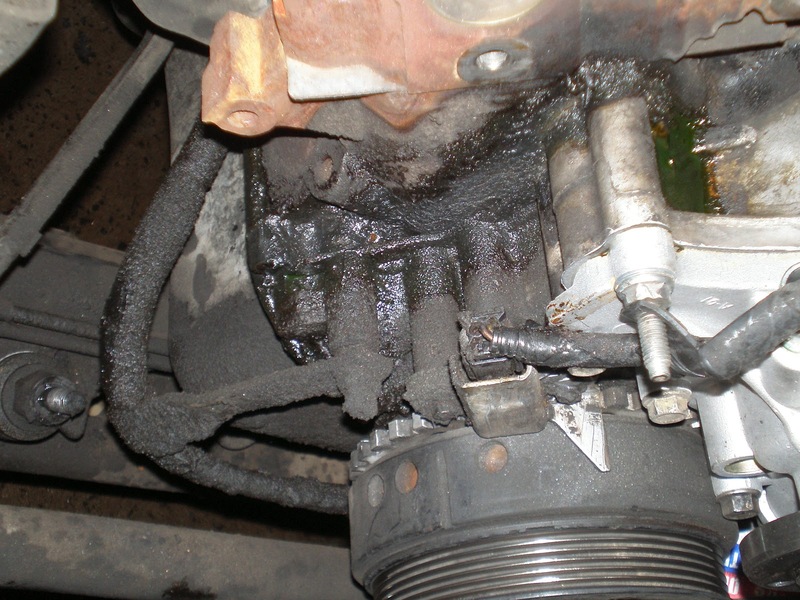 Too much oil in crankcase – not enough air – causes churning, foaming and lack of lubrication. 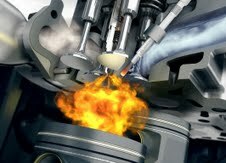 Too much air drawn into the engine in relation to the amount of fuel – often referred to as a “Lean” Condition – can cause higher temperatures, poor performance, low fuel economy and misfiring. Not enough air – known as a “Rich” Condition – can cause problems of a different sort equally as difficult and challenging. Too much air in your tires can cause a harsh ride, lack of control and uneven tire wear. Not enough will cause reduced fuel economy, a different kind of uneven tire wear and a host of other problems. Like all things in life balance is the key! It should go without saying that even with the introduction of lightweight, space age plastics, cars and trucks are mostly metal of one kind or another. It’s the “one kind or another” that gets you! Dissimilar metals used in conjunction with each other: an aluminum engine block, steel crankshaft; copper and brass used in gaskets, seals and additional components; compound alloys, etc. 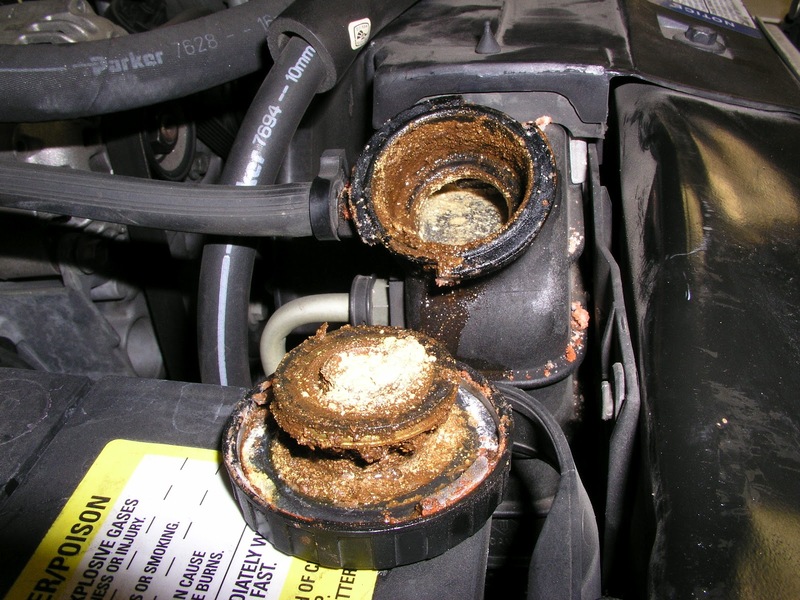 can lead to all kinds of problems, especially when liquids are involved. The first battery was made up of two different metals immersed in salt water. Add the natural occurrence of metal fatigue, wear, oxidation, particulate matter, contamination, and you have the potential for chaos in your driveway. The answer is care, maintenance and periodic inspection. It’s all the insurance you will ever need provided the vehicle you are driving was engineered intelligently and manufactured carefully.